Recreate the “I Can Share” snack your child enjoyed in class this weekend! Sit with your child at your kitchen table, and ask your child how many loaves of bread the boy shared with Jesus (5) and then give each of your five graham cracker sticks. Main Point: Friends forgive others! 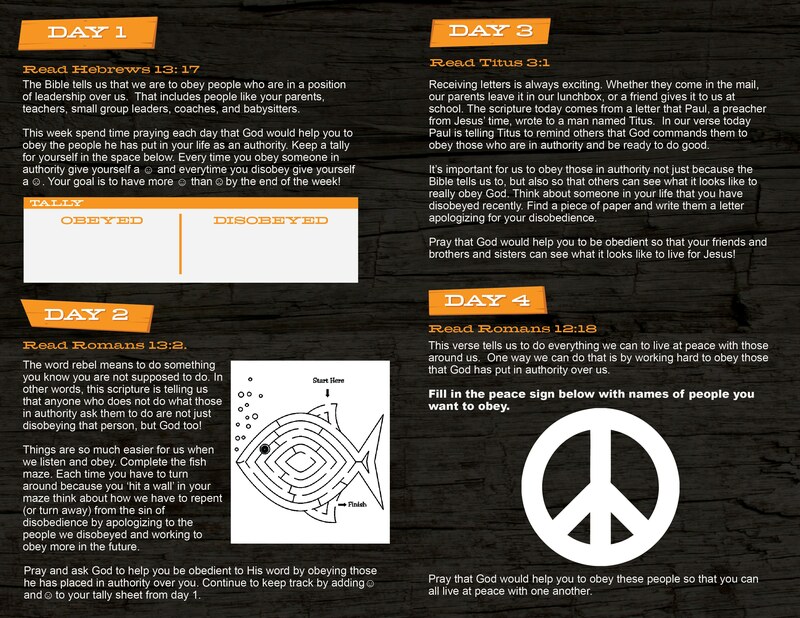 Lesson Overview: All month in Motion kids are learning about OBEDIENCE – choosing to do what’s asked of you. This weekend we read a story about Jesus obeying those in authority by paying His taxes. He put the money needed to pay his taxes in the mouth of a fish and sent His disciple, Peter, to go get it.